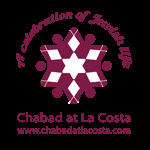 Sign Up to spend High Holidays with Chabad at La Costa in San Diego's North County. Held at our NEW building complex at 1980 La Costa Ave. Our services are family-friendly with the C-Kids program for young children and Junior Congregation for older kids. Our prayer books are in English and Hebrew with accompanying stories and readings. We have *new* beginner-friendly prayerbooks with select prayers in transliteration for your comfort. Our Rabbi's sermon is inspirational and meaningful, he will speak straight to your soul. The congregation is friendly and the environment is 'heimish' (comfortable). All announcements are made in English. 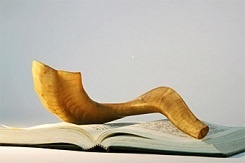 Below are four (4) services for Rosh Hashanah, and three (3) services for Yom Kippur. The schedule for services can be found on the 'Services' tab to the left. There are no 'tickets' necessary to attend, though we do have a suggested donation, see below. Number of Adults * *If none, type in a "0"
Number of Children * *If none, type in a "0"
I would like to join Chabad for RH meals. I would like to join Chabad for the pre Fast meal. Suggested donation of $180 per Adult and $50 per Child for All High Holiday Services. For Yom Kippur only $100 per Adult and $25 per Child.